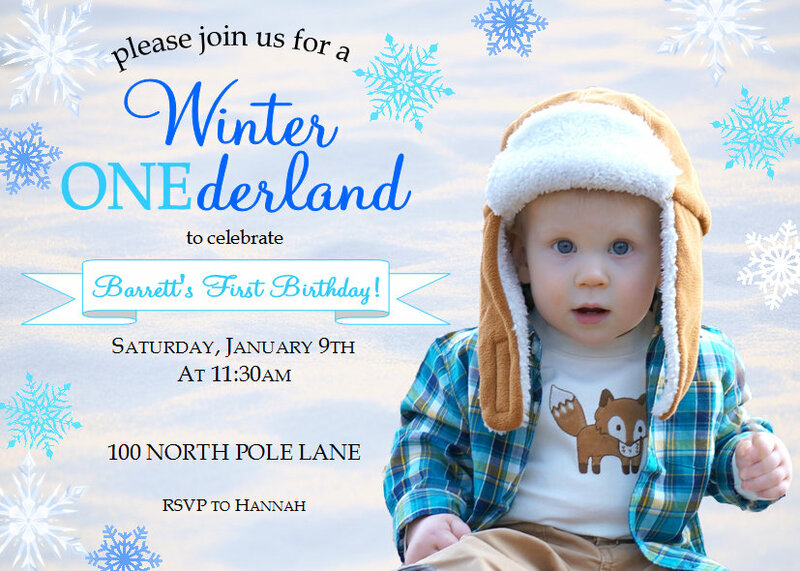 It's a Horvath's Life: Winter ONEderland Birthday Party! We decorated the party room with snowflakes and white pom poms and woodland animals and trees. We had soup and sandwiches for lunch with fruit and veggies, and cupcakes for dessert. 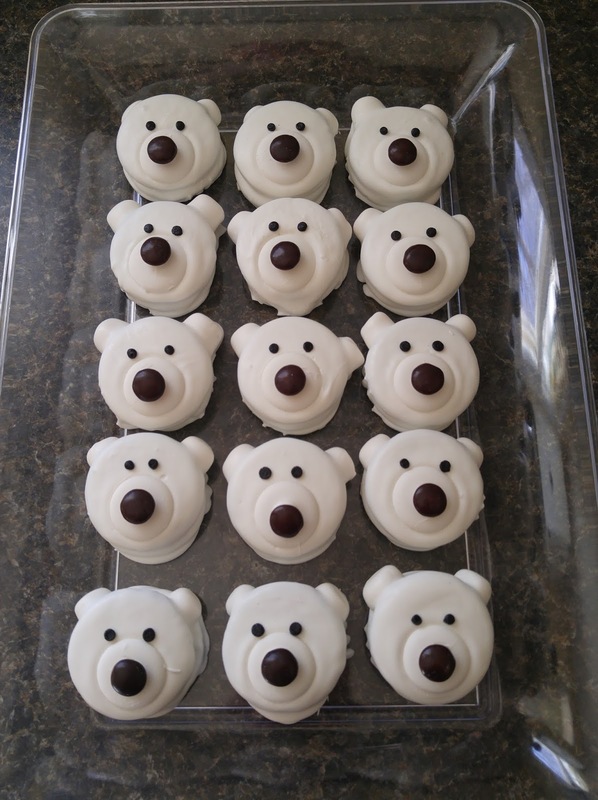 For favors I made these polar bear cookies. They were actually pretty fun to make. The recipe can be found at Everyday Dishes. Then I packaged them up in little bags with a tag that read: "Thank you BEARY much for coming!" They are so cute! We also had hot cocoa favors for guests to take home after their trip to our Winter Wonderland! I made chocolate and vanilla cupcakes and decorated them with white chocolate snowflakes and edible candy pearls. After lunch, big brother Ruger helped Barrett open his gifts. 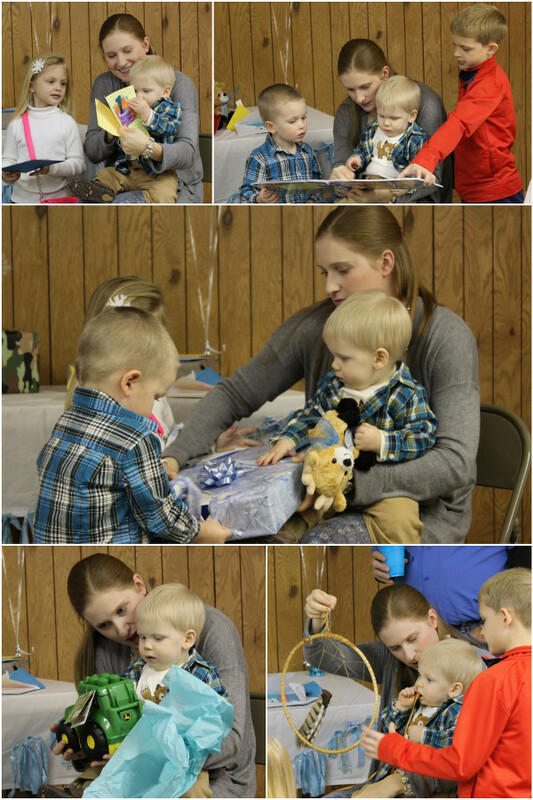 We all had fun celebrating our big boy Barrett! Happy Birthday Buddy!